Lessons are available from our two pros Monday-Sunday. All of our pros are members of the United States Professioanl Tennis Association (USPTA). For more information on our pros, see below. The club phone number is 925-254-1065, but email is the best way to reach our pros. 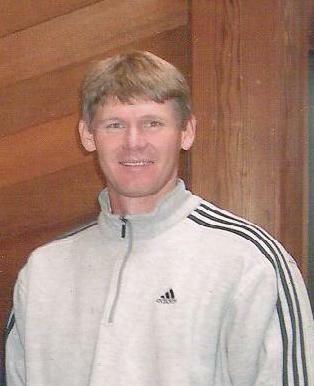 Executive Tennis Director Keith Wheeler has been at Orindawoods since 1995. Keith serves the dual function of club manager and tennis director. Therefore, he oversees the physical plant, membership and the tennis programs. If you have any questions about the Club, Keith invites you to visit, call or e-mail him. He would be happy to help you in any way he can. In addition to managing the Club, Keith teaches tennis lessons Monday through Friday on a part-time basis. Keith has been a tennis professional since 1981, and is a member of the United States Professional Tennis Association. When he is not at the Club, Keith enjoys reading, writing, the theater, plus many outdoor activities including skiing, running and hiking. Head Pro Patric Hermanson directs our outstanding Junior Tennis Program, as well as teaches many adult and junior private lessons. Patric joined the Orindawoods staff in 2003, after 12 years at the Belvedere Tennis Club. Prior to that, Patric and Keith teamed together at the Tiburon Peninsula Club. In addition to teaching our Junior Program, Patric also hosts our two weekly adult drop-in clinics. A tennis professional since 1988, he is a member of the United States Professional Tennis Association, and is available for lessons Tuesday through Saturday. Patric looks forward to helping you get your game in shape. Please add $5 for non-members. There is no need to sign up for the Men's and Ladies' clinic in advance. All levels are welcomed. For Junior Program clinics, click "Jr. Program" button above.